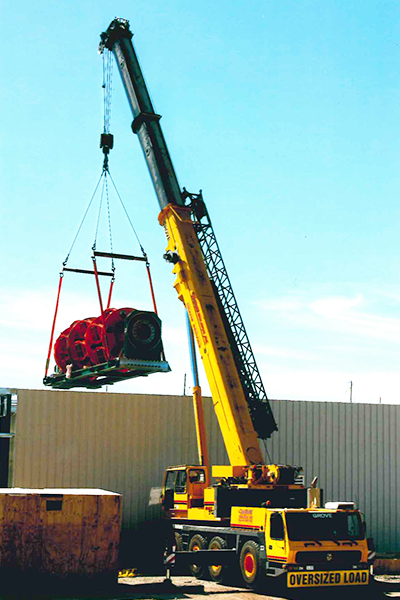 W&M specializes in machinery moving by use of high capacity forklifts, cranes, air-ride truck and trailers, and other unique equipment. If you have heavy equipment to move, W & M can provide timely service to dismantle, load, deliver, unload, erect, set, level and anchor it. We are skilled in moving oversized, bulky, or heavy equipment and machines. As part of a move we include crating, skidding, and shipping as needed. 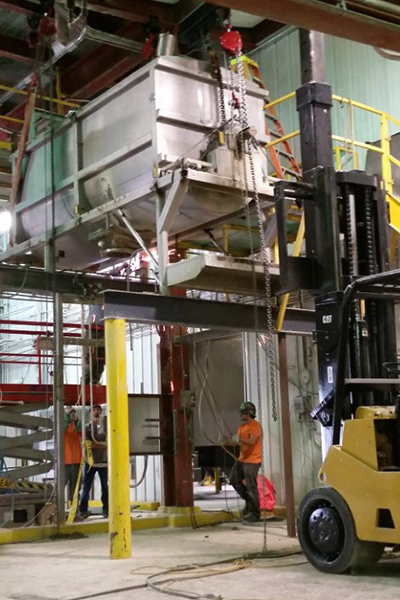 We handle everything from an entire factory of industrial machinery, to single, large, bulky, heavy pieces. Whether the equipment is to be moved across town, or across the country, we offer quality services at competitive prices. We diligently evaluate each moving or relocation project and provide you with available options. All our professionals believe in hard work, straight talk, and diligence in building and maintaining relationships that offer you, our customer, the best value. We measure success by how many of our first-time clients become long-term relationships or refer us to others. The number is large and growing. Contact our staff and find out why.